Dear Brothers and Sister in Christ, Happy New Year! 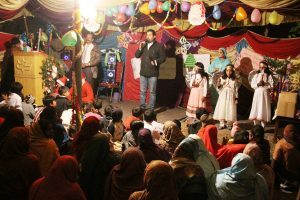 We praise God for His all blessings and protection during year 2017, and we pray for all of you as well as for Calvary Chapel Pakistan’s team to be able to serve God faithfully and be under His protection. 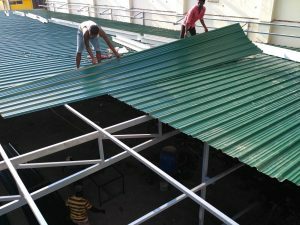 In this update I am going to share particular about the second church that we have planted outside of town and I also wish to share with you a pressing need. 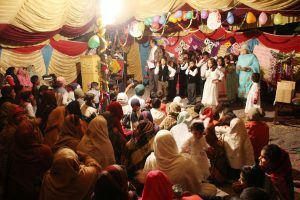 There are about 200 Christian families in a colony outside of our town where we have been visiting for almost last full year. Some visiting pastors have been going there rarely, but those people don’t have any appointed pastor and they don’t have any particular place [namely church building] to get together for prayer and worship. 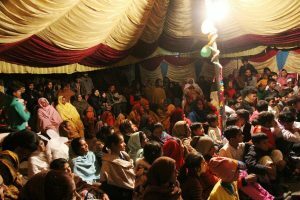 Since we are reaching and sharing the word of God with these people, they are becoming organized in weekly meetings and other church activities.We had been having Sunday Meetings in the yard of a family in the evenings of spring and summer of 2017, now as the winter has started, it’s not possible for the families to gather in the yard for the Sunday meetings as it the freezing cold and foggy, it’s very hard to stay outside for even short time. 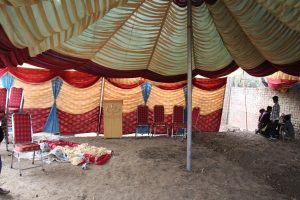 During Christmas we had special arrangements, we rented out a tent for covering and the people put some dirt in the yard in order to make more leveled place for those people who were going to join us. 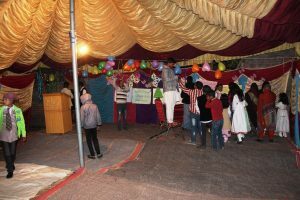 On December 23 the whole work was finished and everyone from younger to older took part in this all arrangement. 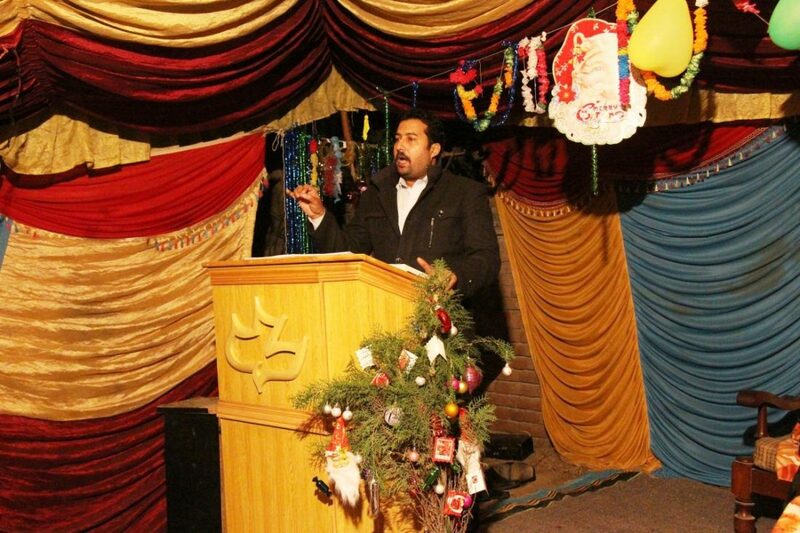 We took chairs and pulpit from our town to that place for Christmas programs. 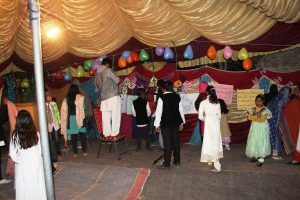 Finally we were able to have services of Dec. 24 and 25 in a tent, many people joined us in the meeting, children had prepared Christmas drama and they presented many Christmas songs. And along with great fellowship and blessed evening, everyone was fed on the living and eternal word of God. 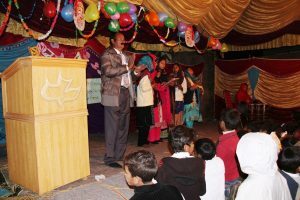 We really praise God that these people are growing spiritually as we are studying the life stories of Abraham, Isaac, Jacob and Joseph in our Sunday Services and by pondering on their lives, challenges, failures, trust in the Lord and God’s faithfulness, we all are being wonderfully encouraged and growing spiritually. 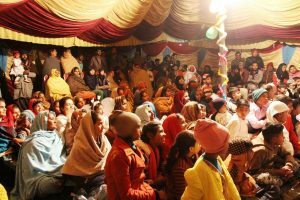 As we started reaching these precious souls and we faithfully started serving these scattered people, they have started gathering under the cross of our Lord and now they feel much more united and blessed to be part of our Sunday services and other meetings. 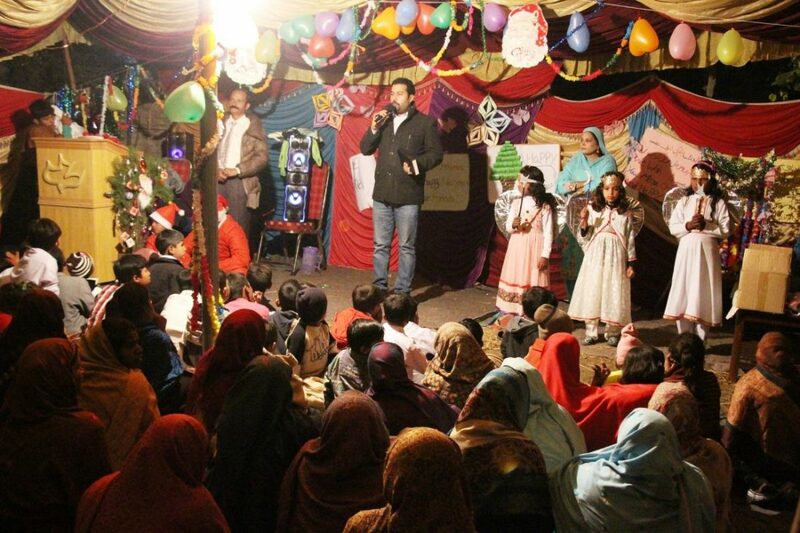 We give our Lord all glory and praise and we want to thank all of you for your faithfulness to encouraging us through your prayers and all kinds of support to continue reaching disadvantaged and underprivileged people to share the word of God with them and encouraged them in Christ our Lord. 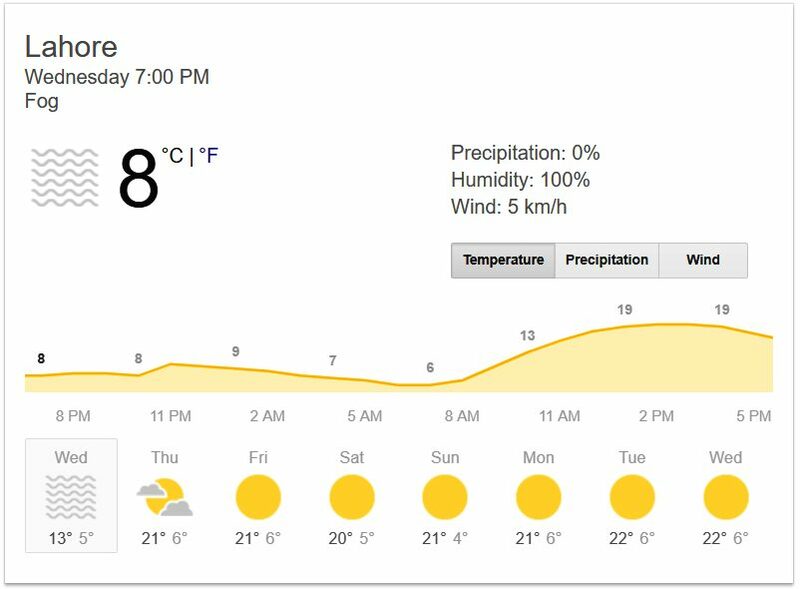 Now one of our church member has offered us to use his yard for Sunday Services and all kinds of church activities as long as we need to. We are very much thankful to that fellow and his family but it’s not always possible to continue the church activities under open heaven because of weather severity. 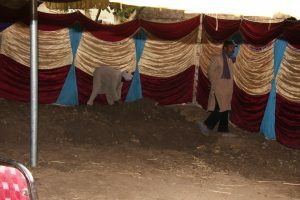 We need to build a temporary Iron structure and put iron roofing in order to cover that area, we will need to put some dirt there to raise he level of the place in order to make it safe during the rainy season and along with that we need some side coverings, table and chairs, a pulpit, carpets and some lights for the place. 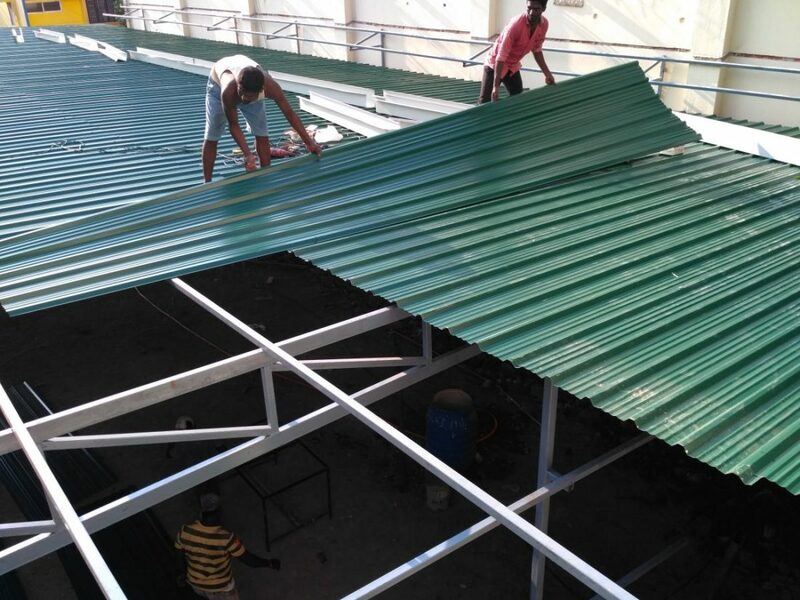 After we have temporary structure with iron roofing it will help people to come to the fellowship and it will save us all from the severity of winder and summer as well as rainy season. 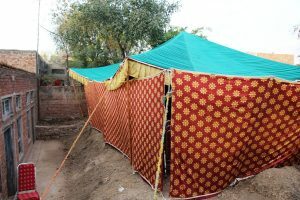 In order to get this all done we need financial support of $2,130/, so through this post I want to request all of you to please pray for this church that we have planted, pray for us to continually reach them with the true message of the gospel. 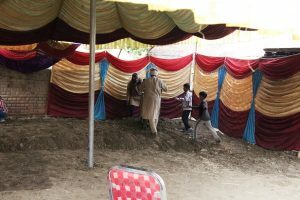 Please also pray for the provision so that we may build this structure soon as possible. If Lord leads you to financially support this special cause, we will highly appreciate that and will be very much thankful to you! Once again We want to thank you for being our faithful prayer and support partners, we want to let you know that we pray for all of you and we love you!